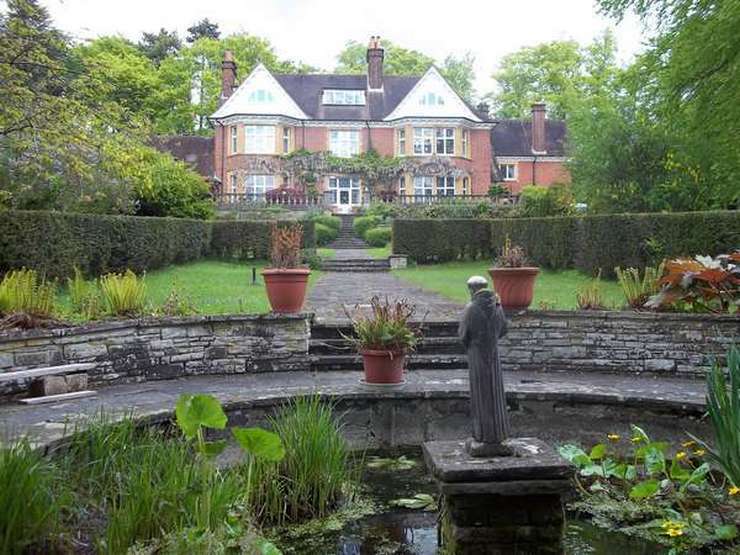 The Ramakrishna-Vedanta Centre of UK, is the only centre in Great Britain affiliated to the Ramakrishna Order. The Centre was started in London by Swami Ghanananda in November 1948. Until 1969 he guided it's affairs, established its monastery; edited the publications and also spoke in many parts of the country. Swami Ghanananda passed away in 1969. After Swami Ghanananda, Swami Bhavyananda became head of the centre. The centre moved in 1977 to Bourne End, Buckinghamshire. Bourne End is 25 miles from London. Swami Bhavyananda guided the Centre till his passing away in 1993 when Swami Dayatmananda took charge. He guided it's affairs till 15 April 2018 when Swami Sarvasthananda took charge. Like his predecessors the Swami delivers public lectures on Vedanta, Yoga, Indian Philosophy and Psychology, Comparative Religion and allied subjects on Sunday afternoons at Bourne End. The Swami also occasionally addresses meetings outside the centre too on invitation. Giving interviews for spiritual guidance, study classes and answering letters from spiritual seekers are some of the Swami's other duties at the centre. The birthdays of Sri Ramakrishna and other great teachers are celebrated at the Centre. There is a shrine with a meditation room which devotees may use and where morning and evening services are held. Monastic and lay members assist in the daily routine activities. The Centre has an elected Board of Management and Board of Trustees. It is registered with the Charities Commission as a charitiable institution, and is therefore able to recover income tax on donations made under Deeds of Covenant. The Ramakrishna Vedanta Centre is entirely free from politics. The Ramakrishna Vedanta Centre is the only Vedanta Centre in the U.K. which is affiliated to the Ramakrishna Order of India. It is entirely free from politics. The Centre, besides publishing books, runs a bookstall which is open until 5.30 pm. A book list may be had on request. Is open to all from 8.00 am to 12.30 pm and 3.00 pm to 7.30 pm. Vesper Service is at 6.00 pm. Swami Sarvasthananda is available for personal interviews and discussions by appointment. The annual subscription to Vedanta is £9.00 post free.